In re-sealable bags. Product of the USA Organic and Kosher Certified. 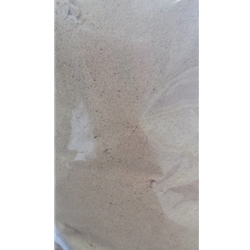 100% Cordycep Powder, no chemicals or additives.Most cordycep powder you find in the USA are from other countries, very few people have them from the USA. The cordycep powder is grown in the USA because the standards are so much higher than they are in other countries. Please research the benefits of the cordyceps online. We cannot state them here. Also known as Cordyceps sinensis, caterpillar fungus, dong chong zia cao. Precaution: Excessive use may cause mild diarrhea, dry mouth, and nausea. If you have low blood sugar or an auto-immune disorder, do not use, since Cordyceps tends to lower blood sugar and significantly increase immunity. Which is good news for most people, but not really studied for those with these conditions. Typical Preparation: It can also be used as an extract, as a tea, or in capsules. Cordycep is an extremely safe herb with only mild digestive upsets being reported after taking large doses. We recommend that you take 1 gram a day. Just add two pinches into a glass of filtered water, juice, or sprinkle it on your food. Do not cook.